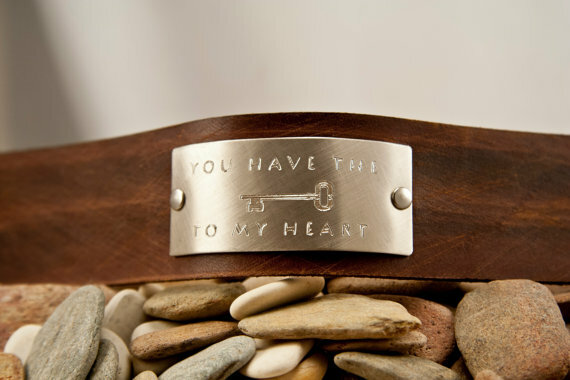 Leather Cuff Bracelet Giveaway! Home | About Us | Opportunities | Sponsorships | Contact Us! 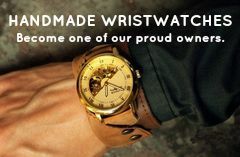 We are so excited about the newest giveaway event here at Handmade Men! Once again our friend Michelle Verbeeck has amazed us with her latest designs – and now it’s your chance to pick one for yourself! Michelle creates a variety of handsome leather cuff bracelets that are made to last and look good with whatever you wear. 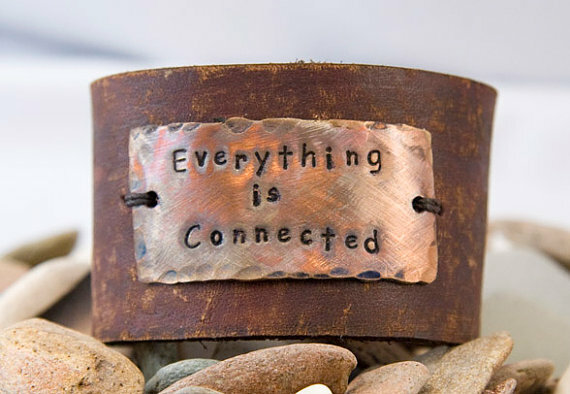 Each cuff bracelet is brought to life with a hand-stamped metal plate in a variety of styles or custom sayings. In this special giveaway event, one lucky USA winner will receive a $35.oo Gift Certificate to choose their own bracelet (plus free shipping!) and design from Michelle’s shop! This is a wonderful opportunity to explore the various sizes (1/2″ to 2″ widths), designs, and custom stampings that she has available – and to choose something that means something to you. Michelle uses high-end leather in all of her cuffs so that each piece can be a durable and stylish addition to any look. She also uses tough metal pieces and some impressive crafting techniques in bringing the pieces all together. Use the simple entry box below to get your name in the drawing in just seconds! We’ll be drawing a winner on Friday April 4, 2014 and notifying them via email. This giveaway is open to USA residents aged 18 or older. No cash value. Winner must use gift certificate as an opportunity to choose their own product from Michelle’s shop worth up to $35.00 USD. Winner will be notified via their provided email and must respond to us within 48 hours or another winner will be chosen. Contest sponsor is responsible for sending out gift. Not associated with any other offer. 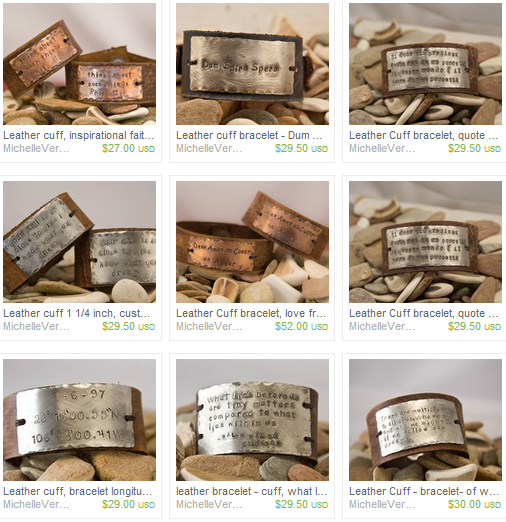 Tagged giveaway, Leather Cuff, Men's Bracelet, Michelle Verbeeck. Bookmark the permalink.